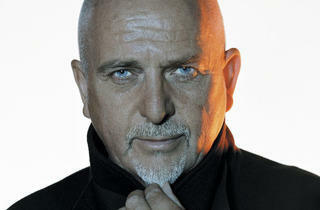 “No drums, no guitars.” Peter Gabriel takes his covers project on the road with an orchestra. 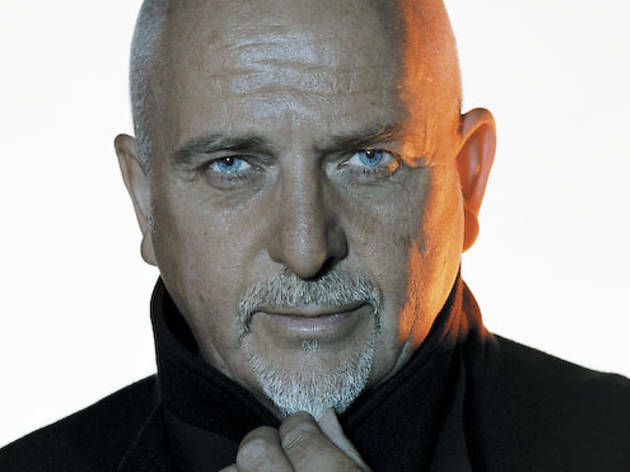 Peter Gabriel is not one to do things by half measures. That may explain, ironically, why so few of his projects have come to fruition. That Gabriel deemed last year’s turgid Scratch My Back worthy of his prolonged commitment is curious, given that from conception to execution the project marks the first outright failure of his career. It’s a covers album with a self-defeating twist, setting a host of familiar and sometimes unexpected tracks from Paul Simon (“Boy in the Bubble”) and David Bowie (“Heroes”) to the Magnetic Fields (“The Book of Love”) and Arcade Fire (“My Body Is a Cage”) to radical, dirgelike orchestral rearrangements. Given how little these renditions resemble the source material, Gabriel could have gotten away with changing the lyrics and presenting the collection as an original album. Even then, the disc would still be dull going. And yet the 61-year-old soldiers on, purportedly overseeing a companion album, I’ll Scratch Yours, showcasing the artists he’s covered, in turn covering tunes from his back catalog. We’ll see if that ever happens. The prog-pop icon now ambitiously takes the show on the road with a full orchestra. The volume and dynamics of all those extra musicians—“no drums, no guitars”—are meant to add oomph to the melancholy. Though symphonic rock tours do not historically pack the same, let’s say, sting as a traditional setup. A second set of Gabriel’s own rearranged compositions rewards those who make it through the first.